I learned a decade ago from the Palestinian ambassador to Britain that while Israel has many bombs, the Palestinians have one bomb, namely the demographic one. As it seems, this bomb is about to detonate. Ynet reports today the numbers of Israeli and Palestinians live in between the river and the sea are pretty much identical. Five million Palestinians live in the West Bank, the Gaza Strip and in east Jerusalem, the data indicated—later discussed in detail by the Deputy Commander of the Israel Civil Administration (ICA)—which operates Israeli governance in the West Bank—Col. Uri Mandes. According to 2016 figures from the Israeli Central Bureau of Statistics (CBS), 6.44 million Jews live in Israel alongside 1.52 million Muslims. In total, the demographic report concludes that 6.5 million Muslims live between the sea and the Jordan River. The ICA, it should be noted, relies on figures provided by the Palestinian CBS, which is considered to be a relatively reliable source. 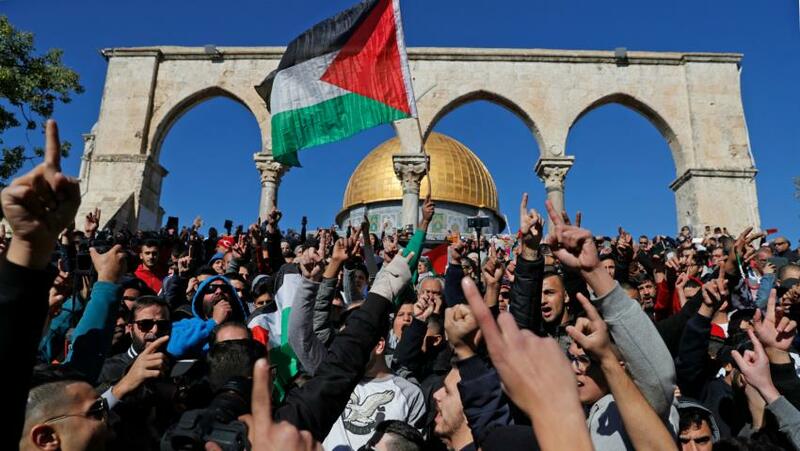 The Palestinian CBS said that the number of Palestinians and Arab-Israelis combined, between the river and the sea, stood at 6.1 million and that the number is expected to increase to 7.1 million until 2020. Israelis don’t like the idea. MK Avi Dichter (Likud), who chaired the committee meeting, expressed his skepticism at the veracity of the figures. MK Tzipi Livni (Zionist Union) responded to the revelations on her Twitter account, using the figures to attack the notion of annexing the West Bank. “If we don’t wake up from the delusions of annexation, we will lose the Jewish majority. It’s that simple,” she wrote. Reading comprehension is not one of Livni’s fortes. Jewish majority in Palestine belongs to the past!